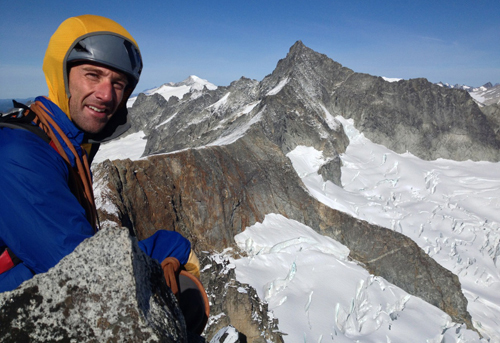 Throughout Jayson’s almost 20 years of mountain guiding he has successfully guided alpine climbing and skiing expeditions throughout the world on 6 of the 7 continents over his career, and during this time was also the Owner / Operator of Crested Butte Mountain Guides from 2007-2014. Jayson can be found splitting his time living and guiding between Crested Butte, Colorado (where he’s been since 1999); and Chamonix France in the Summer months. In addition to mountain guiding, he has had his writing, photography, and expertise published as an ‘industry expert’ in such publications as: The New York Times, The Denver Post, Outside Magazine, Ski Magazine, Climbing Magazine, and Backcountry Magazine. He is an AIARE Level 1 & 2 Avalanche Course Leader; holds an AIARE Level 3 Avalanche Certification; is an Instructor for the Wilderness Medicine Institute of NOLS; a ‘has been’ member of the Crested Butte Pro Ski Patrol; and a former Avalanche Forecaster & Board Member for the Crested Butte Avalanche Center. Jayson is also an athlete / ambassador for such outdoor companies as: Adidas Outdoors; Julbo; Black Diamond; Kastle Skis; & Hyperlite Mountain Gear.